Picture Factory is one of Melbourne’s leading photo framers. Our company is committed to excellence in unique, custom framing and photo frame design. We work closely with our clients to create memorable photo frames they adore. We are a family owned and operated business. What first began a small photo frames business in Melbourne; The Picture Factory grew to include a variety of custom framing services. The Picture Factory first began manufacturing custom frames in 1991; offering quality picture framing Australia wide. Our team members are now second generation and have grown along with the business to provide the most unique personalised frame services to each customer. Our staff are loyal and long term, know what they are talking about and can assist you to meet your requirements. Our customers have been coming to our Heidelberg store for years and continue to return. We strive to ensure the family first attitude we take to business operations internally is transferred to the everyday handling of our loyal customer base. 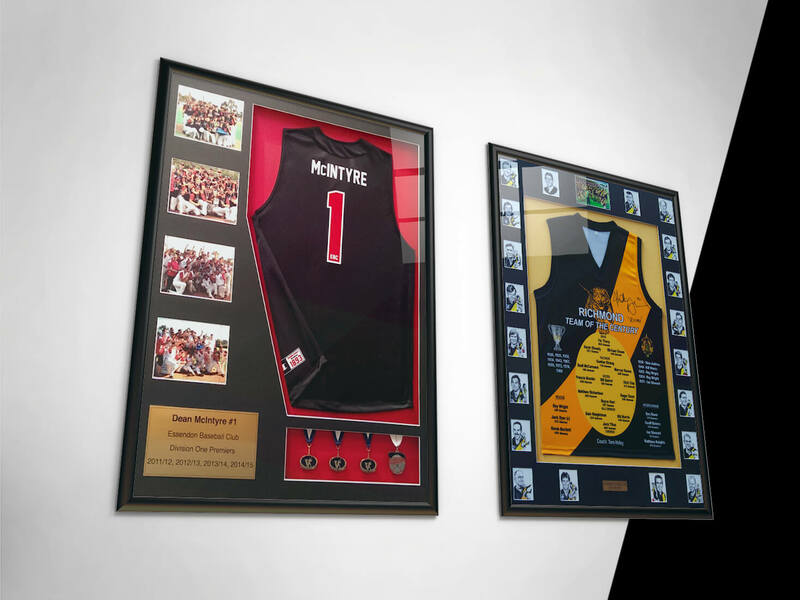 Be it block mounting for Melbourne clients, certificate framing, custom mirrors, memorabilia framing or poster frames, we treat every customers requirements with professionalism and care. As specialist picture framers, our team has steadily grown, both in size and efficiencies in the day to day running of the business. Utilising quality picture frame materials, including timber mouldings and varying colour design, we are able to create custom frames that suit customers’ requirements. We can complete custom framing of any size. Whether you’re after bulk corporate framing or individual block mounting,we have the capabilities to devise any frame. Our experienced staff have created unique certificate and memorabilia framing, as well as custom mirrors for a number of organisations including Tabcorp, Just Group and Toennjes. The Picture Factory acts as both a retail and wholesale picture framer. We strive to provide a professional, friendly service to each customer, whatever their requirement. To learn how The Picture Factory can provide the best picture frame solution to clients Australia wide, call (03) 9459 1777 today or submit an online form.